Until the 20th century, written Malay literature was the exclusive domain of a limited circle, mainly the royal courts. For the majority of the population, literature was preserved in the form of oral tradition, taking the form of songs and tales of folklore which were passed on from generation to generation. Once formal education was instituted, this oral tradition lost much of its importance, but a variety of genres both in sung and spoken form continue to be preserved until today. The oldest forms of Malay folklore include incantations and exorcisms (mantras) rhyming riddles (teka-teki) songs, and lyrical pantun. Many of these feature animal characters like a mouse deer and various other stock characters like Pa Kadok(Papa Pea Pod) , Pa Pandir(Uncle Folly) and Lebai Malang(the luckless person). The most important Malay literary work, the Sejarah Melayu(Malay Annals) was written in the 1500s and it tells the story of a Malacca sultanate. Literature styles in Malaysia were greatly influenced by the European colonists –the Portuguese, the Dutch and the British who arrived in Malaysia from the 15th century onwards. The term Malaysian literature is today primarily referred to Malay-language literature. The various examples of such literature date back several centuries and often carry no attribution. However, on examination of these tomes, we see that they were greatly influenced by ancient Hindu epics like the Ramayana and the Mahabharata and various other forms of Persian and Arabic literature. Other influences on Malay literature include influences from Javanese literature, especially episodes (lakons) of the Javanese Puppet Theater. The earliest works of Malay literature date back to the seventh century, when it is believed that perhaps Sanskrit was one of the official languages in Malaya along with old Malay during the reign of the Indianized Śrivijaya empire which lasted from the 7th to the 12th century. 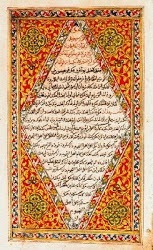 The Malay literary works from this time were written in Arabic script as Islam had already arrived in Malaysia, though the ideas of these literary works continued to be influenced by Hindu themes adapted to conform with Malay or Javanese beliefs and popular legends. Some important works from this period include the Tale of Sri Rama, the Tale of the Victorious Pandavas, the Tale of Sang Boma and the Tale of Marakarma, amongst others. Malay literature played an important regional function in the late 15th to 19th centuries when it was used to promulgate Islam and then from the 18th Century onwards Christianity in the Malay Archipelago. One can conclude that Malaysian literature like literary works elsewhere has played an important role in the cultural, economic and historical development of the country.